This piece can be custom imprinted with your one color logo or contact information for an additional $50. You will be contacted after you place your order to see if you wish to add your logo or any other information. Size: 3 7/8″ long x 1 3/4″ wide x 2 3/4″ tall. 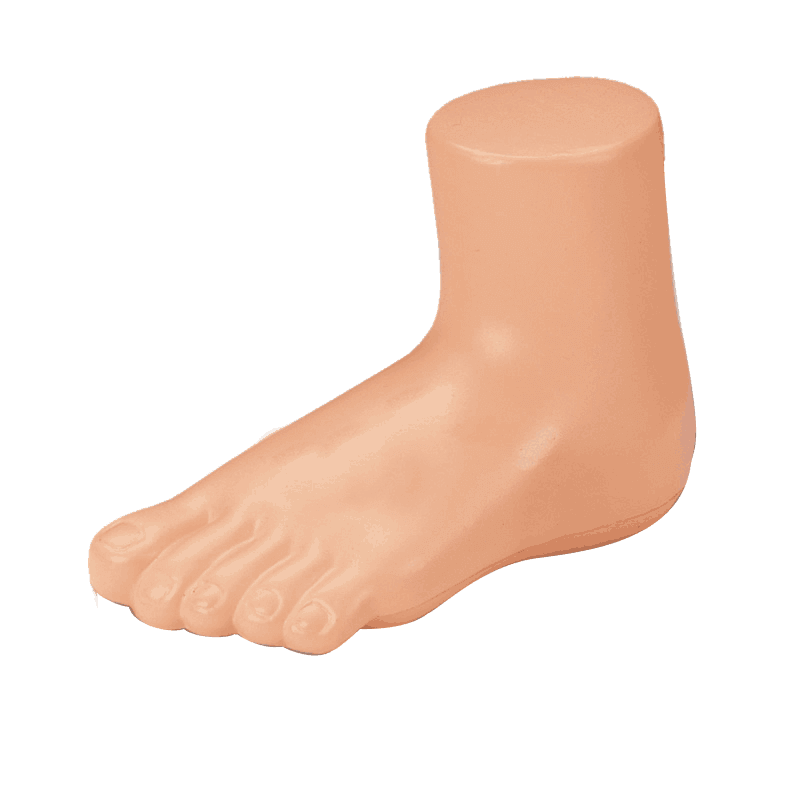 The foot is made of soft “stress-relieving” material. When you’re in sales, especially business-to-business you’re often just trying to get your foot in the door. One of the biggest struggles for all salespeople is simply getting in to see or speak with the decision maker. This campaign will allow to you literally get your foot in the door! Even though I’ve seen this used most in the B2B world, it could easily work in the consumer world if your transaction size or lifetime customer value allows you to use this piece. Cosmetic dentists and surgeons, mortgage brokers, roofers, home remodelers and other high end contractors immediately come to mind, though there are others. They key is for YOU to KNOW your lifetime customer value. “How To Recover More Past Due Student Tuition While Maintaining Your School’s Good Name” And finally get a handle on the process so it’s simple, effective, and super easy to implement…. 3. To see if now is a good time for Wexford to get our “REAL” foot in the door to help (schools name). You have worked hard to provide a quality education that prepares students to go out into the world of cosmetology and make a great living doing something they love. A living that provides great joy to those they serve. The education you provide gives them the ability to change a person’s whole perception of themselves which could change someone’s life. It’s a big deal. But The Truth is…Running A Cosmetology School Is Anything But Easy. And if you are like most I talk with you care deeply about your student’s success. You see them every day, you know the struggles they are going through at any given moment, and you most likely know a lot about their family and upbringing. You celebrate their successes and provide a caring ear when they are struggling. You are invested in them as a person, as much as a student. When Everything Goes Perfect You Have A Student Who Comes To School, Graduates, Gets A Job, And Pays Off The Loans That Helped Them Get There.